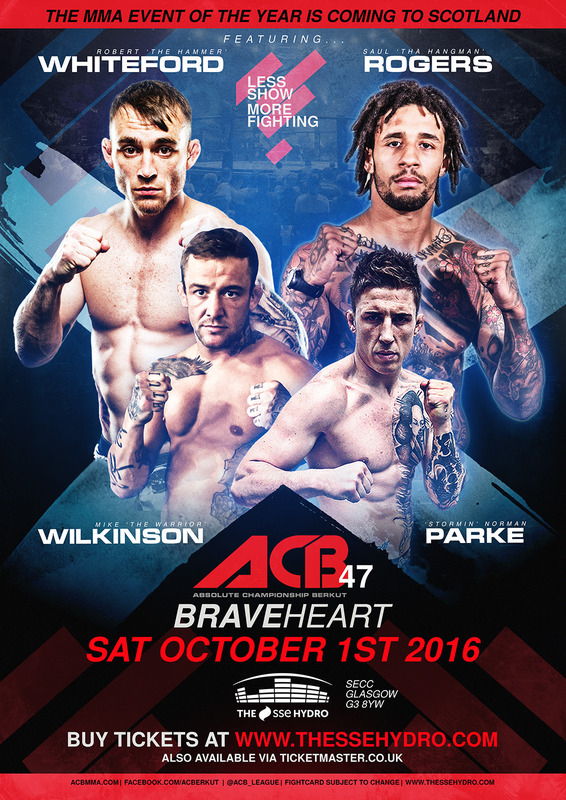 October the 1st is a date all Scottish MMA fans should add to their diary as The SSE Hydro Arena in Glasgow will lay host to ‘ACB 47: Braveheart’. ACB have pulled out all the stops to bring the best in MMA talent together for their first show on UK soil and with the fights already announced it’s a card that is shaping up nicely. Alongside the hometown favourite Robert Whiteford headlining the event in a tough fight against the Frenchman Kevin Petshi the card also see’s some great match ups and names that could easily hold the argument that this is one of the best fight cards the European MMA scene has ever seen. Mitchell vs Bostwick is a contest that has fans salivating. Both are proven warriors and both hold different skill sets that makes this a fight that will be hard to pick but easy to enjoy. Then we have the huge fight that see’s the return of Northern Irelands best, Norman’Stormin’ Parke vs Andrew Fisher, a battle that has war written all over it. 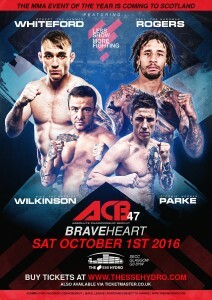 Add to that the talents of Mike Wilkinson, James Brum, Scottish favourite Chris ‘The Bad Guy’ Bungard alongside ACB’s newest signed star Saul ‘Tha Hangman’ Rogers, who’s fight is expected to be announced very shortly, you are looking at a card that can’t be missed and looks set to announce ACB’s arrivals on these shores with a bang.